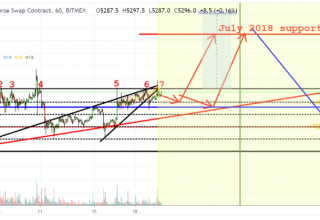 BTC loses some momentum, volatility shows some dissipation. Some more loss of momentum expected before resumption of rally. Bitcoin, the poster boy of the alt coins and the largest cryptocurrency by market capitalisation, has now lost the momentum this week after rallying hard in the prevous week wherein it led the charge from the front. BTC/USD is trading flat on day at $5,069, a bit below day’s high. On the daily chart, as visible, BTC broke out and gave a stupendous rally in the previous week. But now has lost some momentum and is in a consolidation mode. However, it has bounced back exactly from its 23.6 percent retracement mark of this rally from the trough. 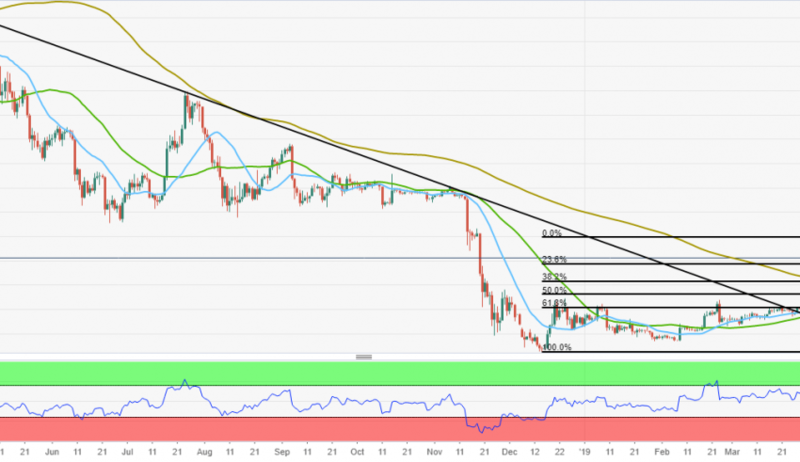 In this losing ground, it could head all the way towards $4,700 which is where it has some strong supports in the form of 21 days SMA, then $4,550 – 200 days SMA and $4,576 in the form of 38.2 percent fibonacci retracement.